Rhonda’s Kiss, an organization that helps cancer patients in need, announced today that legendary rock band Jane's Addiction will perform at their annual concert event on Friday, Dec. 8 at The Hollywood Palladium in Los Angeles. Great bands break rules, but legends write their own. JANE’S ADDICTION has actually written the rule book for alternative music and culture through a combination of genre-defying classic songs and a cinematic live experience. In 1988, Jane’s Addiction would officially arrive as a pop culture force with their first proper studio album, Nothing’s Shocking. Perry Farrell stands out as one of music’s most forward-thinking and enigmatic frontmen, and his vocals soar with vibrancy, vulnerability and vitality. Guitar god Dave Navarro conjures simultaneously psychedelic and epic riffs. Stephen Perkins’ tribal stomp remains hypnotic and transfixing. The band created a sound that the world had never heard before. It was as riff heavy as it was sensitive. Farrell lyrically chronicled the stranger side of L.A. life, telling personal tales that’d stick with fans just as much as Navarro’s licks did. In 1991, for the Jane’s Addiction “farewell” tour, Farrell concocted Lollapalooza. Jane’s Addiction went on hiatus, but they never truly went away. 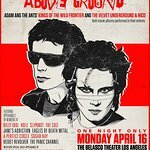 The world needed Jane’s Addiction in 2003 just as much as it did in 1985, and the band released “Strays,” their first new album in 13 years. The first single “Just Because” was their biggest single to date landing at #1. 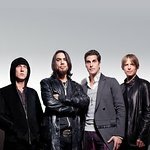 Jane’s Addiction was once again everywhere with “Superhero” becoming the opening theme song for HBO’s hit show “Entourage” at the same time. The band headlined the re-tooled Lollapalooza festival that summer. 2016 saw the band tour their “Ritual De Lo Habitual” album in its entirety for the 25th anniversary of its release in addition to a special vinyl box set and live recording at Irvine Meadows in California. General admission tickets will be available on October 19 here.